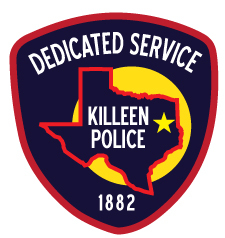 Killeen Police investigate three late night shootings. Officers responded to three 911 calls in reference to shots fired between 11:30 p.m. on Monday, October 2, 2017 and 12:15 a.m. on Tuesday, October 3, 2017. The first call was reported from the 2000 block of Schwald Road, the second from the 2000 block of Prestige Loop and the third from the 600 block of Estelle Avenue. Detectives are in the early stages of the investigation to ascertain if these shootings are related. There were reports of damage to vehicles and residences and fortunately no one reported any injuries. Detectives are asking anyone who has information about these shootings, to contact Crime Stoppers at 254-526-TIPS (8477) or go online at www.bellcountycrimestoppers.com. You can also download the P3Tips App for IOS and Android and give an anonymous tip. All information given is anonymous and confidential, and if your tip leads to the arrest of the person responsible for these shootings, you could be eligible for reward up to $1,000 in cash.